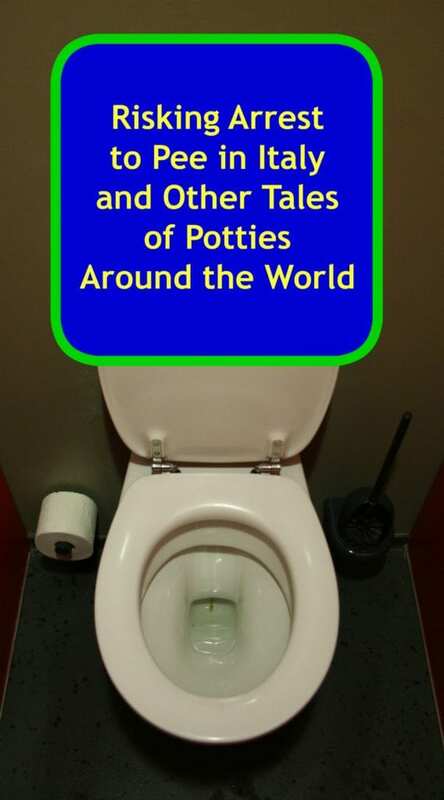 It only takes one visit to a Japanese lavatory to find a porcelain hole in the floor, or one attempt to pee in Venice sans euros to buy your way into the bathroom to realize that not all potties of the world are made the same. 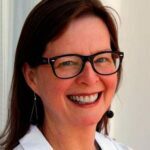 Knowing what you’re getting into–and how bathrooms habits differ around the world–can make for smoother travels. It was during my first trip to Japan as a rookie reporter that I discovered the challenge of squatting to pee in a porcelain hole in the floor. I was shocked and slightly appalled. With a little American ingenuity, I managed a not-so-graceful visit to lavatory. I was feeling rather proud of myself – until I realized the next woman in line was at least 8 months pregnant. She entered without a glance. But then she was Japanese, so I suppose it was the lavatory she expected to find. That was reinforced later that week when I headed to the corporate headquarters for one of Japan’s biggest companies to interview some of the company honchos. I stopped in the ladies room on the executive floor and found lavatory options. There were several stalls with the porcelain hole in the floor and one with an American-style toilet, complete with a infographic on the wall instructing users to turn around and sit on the potty rather than attempt to climb up on the rim and squat over it. When my then 16-year-old daughter and I were spending our last hours in Venice before heading to the airport and home to Chicago, we recklessly spent our last euros. Not point in bringing them home and paying another exchange fee to trade them back into dollars, we figured. But we neglected to factor in the need to pee. In Venice, there is a charge for the public toilets. Being euro-less, we were in a bind. So we headed into a small restaurant and asked about the bathroom. She pointed us toward the back, where we gratefully used the facilities. Either we were in too big a rush to pay attention or she hadn’t been clear, but when we left, she asked for 3 euros. I explained we had none and offered to pay in dollars. She demanded euros. I offered a credit card. She pointed to a sign that said credit cards would be accepted only for purchases of 20 euros or more. Unable to make a deal, I grabbed my daughter’s hand and walked purposefully out of the place, with the woman in hot pursuit. For the last 40 minutes we spent in Venice, my daughter visibly quaked every time we saw a police officer. She was convinced we were going to be arrested. On a honeymoon stop at a restaurant in a small town in the Peloponnese, my new husband and I headed toward the restrooms in the back. It was a common hallway, men’s room on the right, women’s on the left. Sitting smack in the middle was a severe-looking woman holding a roll of toilet paper. There was no fee for using the facilities, but there was a fee for the paper. Hubby passed her by while I anted up. In return she counted out 6 sheets of the flimsiest, roughest toilet paper I have even used. That same wondrous honeymoon trip ended with a cruise through the Greek Islands and a stop in the ancient city of Ephesus, Turkey. On our way back toward the ship, I thought a stop at the potty might be in order… until I met the guards at the gate. The lavatory was down a steep set of stairs into the bowels of the Earth and there was a rather steep fare to be paid to enter. I decided it wasn’t such an urgent urge that it couldn’t wait until we were back onboard the ship. These have been around for many years—I have long believed them to be one of Chicago’s greatest patronage contract given, no doubt, to some significant mayoral supporter. It wasn’t until I saw a fellow traveler tweeting about the wonders of these toilets that it occurred to me the toilet seat covers are conversation-worthy in and of themselves. But nothing beats the toilet that once belonged one of America’s most beloved presidents, Abe Lincoln, the 16th president who waged a civil war to keep the union together and free the slaves. The outhouse at his home in Springfield, Illinois, contains a two-seater. That’s right. You could have company while you, you know, do what you need to do. 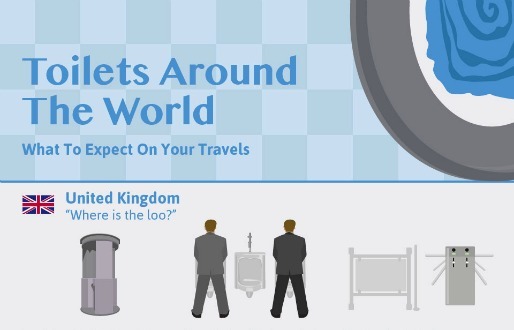 Editor’s note: Thanks to the folks at Plumbworld for sending along the Toilets Around the World infographic, which finally got me to get off the pot and write this post, which I have been meaning to write for a very long time. What oddities have you encountered when answering the call of nature? Share with us in the comment section below. I may just use toilet testing as a reason to travel!